Valhall offers whale safari. We have offered our guests spectacular nature experiences like whale safari since 2011. 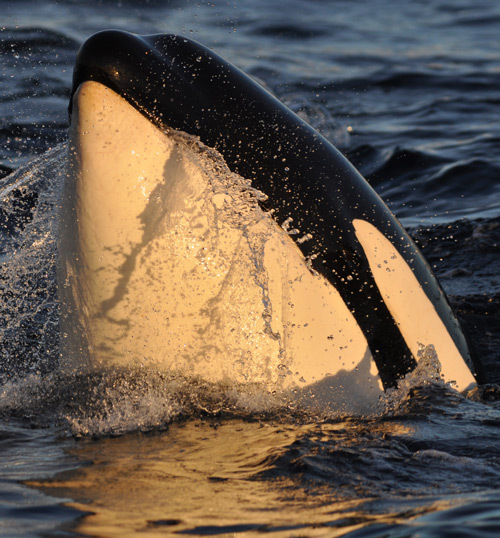 In the winter months, there's been Killer Whales, Humpback Whales, Fin Whales and even sometimes Sperm Whales that we have been able to observe in the area. Since 2014 we've used a strong binocular from an observation post at Krøttøy's highest point. This has made it much easier for us to find the whales in the fjord. After the whales are spotted, we head out on whale safari with a 99% chance to encounter them as the observation post guides us to their position. During the summer months there are other types of whales that enter the fjord. Sometimes large herds of 100 - 200 Pilot Whales take laps around Krøttøy. If you're looking for a truly unique nature experience, don't hesitate to contact us.